A company’s ability to contest in federal court what it views as unfair oversight by a federal government regulatory committee is still subject to obstacles posed by the “standing doctrine” by which access to the courts is limited to cases and controversies actually needing resolution. A recent example of this is the case of R. J. Reynolds Tobacco Company, et al. v. U.S. FDA, et al. On January 15, 2016, the U.S. Court of Appeals for the District of Columbia Circuit reversed the district court’s ruling and summary judgment for the plaintiffs and issuance of an order dissolving the U.S. Food and Drug Administration committee and enjoining use of the FDA committee’s report on the safety of menthol cigarettes due to alleged unlawful conflicts of interest relating to three of the FDA committee’s members. 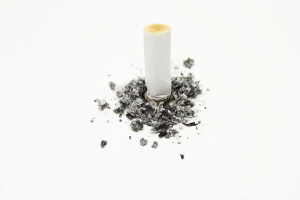 The Court of Appeals vacated the district court’s order, holding that the plaintiff tobacco companies lacked standing to complain at this time because the FDA has not yet issued a final rule for regulation of the at-issue cigarettes, although it was acknowledged that three committee members had testified in lawsuits against tobacco-products manufacturers and were paid substantial fees for doing so.